By now, it has probably become obvious that none of my favorite New Order songs post-“Temptation” were actually singles, and so my personal history with this band completely deviates from the masses. 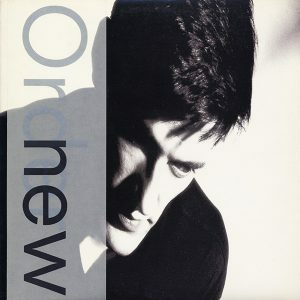 Which was not my intention — anybody who has paid attention knows that I generally gravitate towards singles, even with my favorite artists — but New Order was the rare great singles band where I preferred the album cuts to the singles. What is my intention, however, is to point out that to limit your knowledge of New Order to just the singles isn’t the way to go, not just because you miss out on songs that woulda been singles for a lesser band — your “Age of Consent” or “Love Vigilantes” — but also deeper cuts like “Face-Up,” which ended Low-Life on a real up. At first, there’s a bit of misdirection in “Face Up:” it opens with a couple of synths battling each other, random slams of electronic percussion, as well as that oppressive keyboard wall that defined “Blue Monday,” and then nearly a minute in, there’s a hiccup, and suddenly “Face Up” explodes into a dancefloor tumble of roiling percussion, burbling bass and synths that sound like horns. Meanwhile, Bernard Sumner is singing about a crumbling relationship like he’s just fallen in love for the very first time. The cool thing about “Face Up” is how it’s always mutating: the verses are slightly quieter, with the synths low and rumbly, the beat kept by the kick drum, and then on the choruses, they bring back the snare sound from “Temptation” for good measure, and the guitar doesn’t even come in until the end, Sumner sliding in a pretty great solo before he continues to joyously chant about how he can’t bear the thought of you, even letting out a couple of “whoops” before the song fades away into the night.